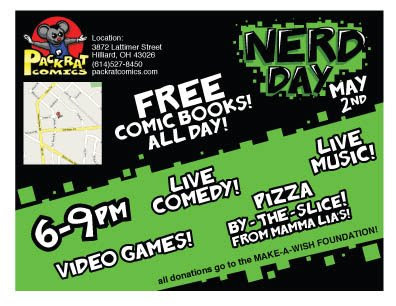 A friend of mine is having an event on Free Comic Book Day at Packrat comics in Hilliard, OH. 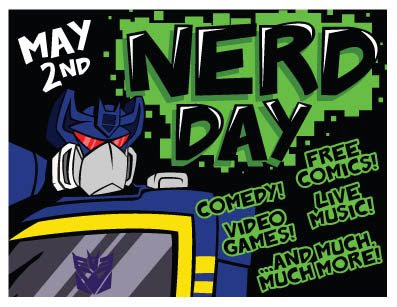 If you are in town you should go! He asked me to make him a flier and two posters. Here is the flier, and the posters will follow.